Whether you call them a Super Tuscan or an IGT blend, rich red blends from Tuscany provide everything from great values to high priced cult legends. 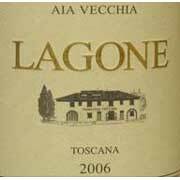 The 2006 Aia Vecchia Lagone falls into the value category at $18 and is a blend of mostly Merlot and Cabernet Sauvignon with 5% Cabernet Franc. Originally Super Tuscan’s were declassified Chiantis because they failed to follow the DOC (and then DOCG) requirements for grape blends and aging. Many winemakers at the time (1970’s) felt that Chianti wines were becoming too watered down and not showing the true class and structure that the region could provide. 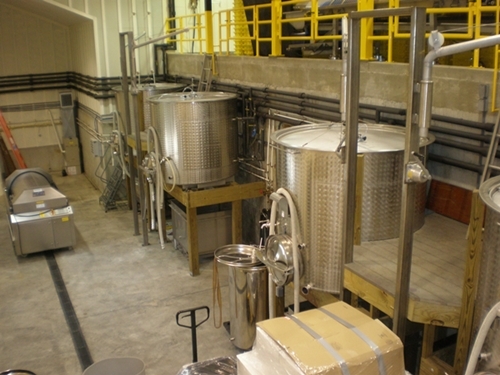 This philosophy brought in new non typical grapes into the blends such as Cabernet Sauvignon, Merlot and Cabernet Franc to provide increased structure and complexity. 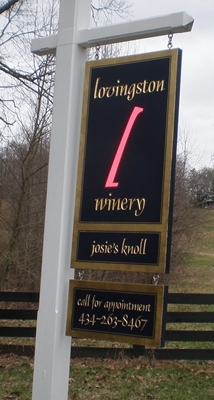 Although many of the wines were still of superior quality, not following the rules brought these wines down to Vini da Tavola status or basic table wine. 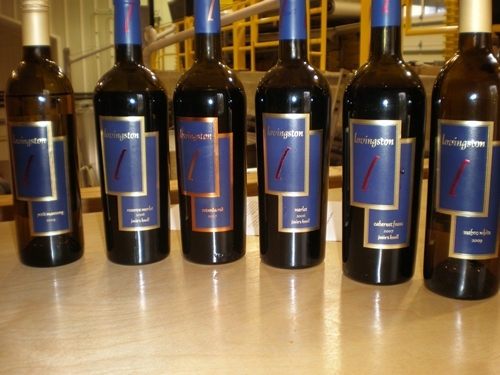 In 1992 to give some status and classification to these wine the Indicazione Geografica Tipica (IGT) was formed. Although still not carrying the same status as DOC or DOCG wines, it was better than being called table wine. Funny enough current DOCG rules for Chianti and the sub regions of Chianti allow for up to 15% of these grapes that 30 years ago were not allowed. 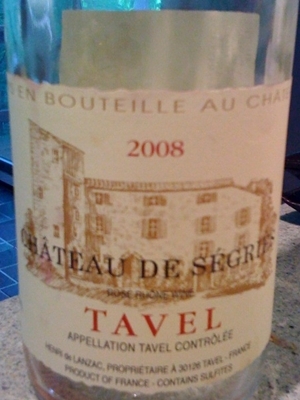 A very delicious wine, but kind of all over the place. It is still a young wine in many ways and needs some time to pull itself together at which time it will definitely shine. That being said it tastes great now and will delight most non-discriminating drinkers early, but given another year or two I feel it’ll show much better. 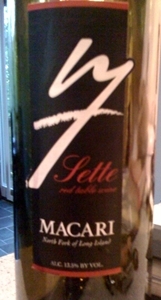 So last night for dinner I went to my sample rack to catch up on some things and pulled out the Macari Vineyards Sette ($17) from the North Fork of Long Island. It intrigued me because it was non-vintage (or at least not labeled) and no grapes were listed. So before whipping out the laptop to look up this wine I tasted it, and guessed that it must be predominately Cabernet Franc. Well I was right, it is a blend of 50% Cabernet Franc and 50% Merlot, as well as a new wine for Macari. 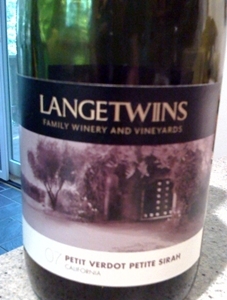 I was quite impressed with the wine, it was varietally correct, extremely balanced and also good. Not a bad combination for $17. My only negative comment on the wine would be the presence of oak toward the back of the palate. I don’t mind oak or it’s derivatives in a wine, but for some reason this was coming off as more of a plywood taste. It was over bearing so it didn’t take away from the rest of the great flavors I was picking up. The Pikes Red Mullet is an interesting blend that is made to be an every day red wine suitable for a variety of foods. 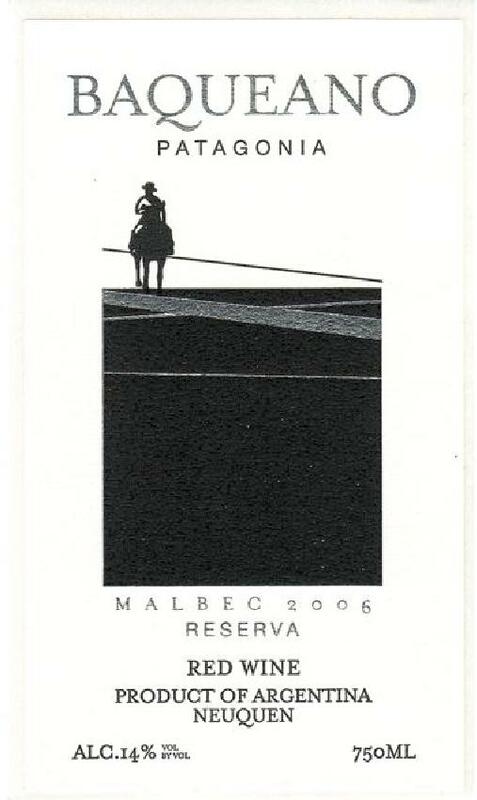 It is definitely that, and has an interesting contrast on the nose and palate of red and dark fruit notes. 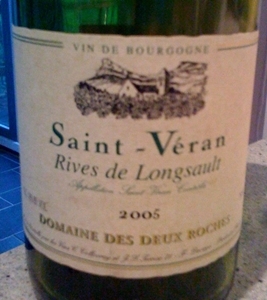 The kicker is definitely the acidity, great amounts of it that give this fruit driven wine some excellent structure. Great “Gewurtz”, very nice and rich but a great amount of acidity for much needed structure to back up the viscosity felt on the palate. Classic flavors and aromas of rose, lychee and honey, it is everything a good Gewürztraminer should be, and at $19 it isn’t a bad price. Think about pairing this with some Indian food, it would work great! The perfect beach wine – Vinho Verde! 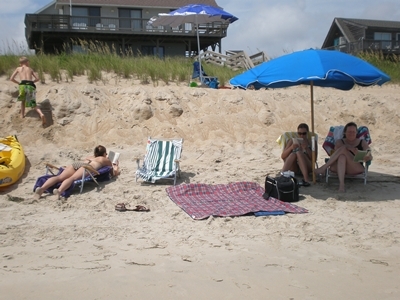 The past few days I have been down in Duck, North Carolina enjoying some perfect beach weather at my in-laws timeshare. Normally when it comes to imbibing on the beach I am a Corona and lime fan but sometimes it’s fun to mix it up and do something a little different. Vinho Verde is the perfect beach wine, delightfully refreshing with bright acidity and just a hint sparkle. Vinho Verde comes from Portugal and literally means “green wine”, referencing it’s youthful freshness rather than it’s color. The N.V. Broadbent Vinho Verde ($10.95) is made from 3 of the typical varieties used in the wine, 50% Loureiro, 40% Trajadura and 10% Pedernã. Fairly low alcohol around 9-10%, it is a very easy drinking and perfect for a hot day in the sand, the only thing that would make it better would be a screw top. My notes don’t offer much variety in descriptors but where this wines shines is in it’s freshness. Imagine taking the sweetness out of Sprite and adding some acidity and alcohol and you have a Vinho Verde. On the beach I didn’t pair it with a foods but it would go well with a variety of salad combinations or a nice summer gazpacho. 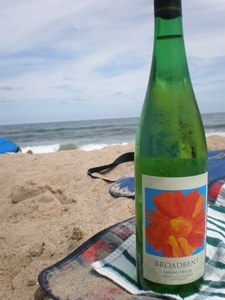 The next time you need something different, or if you have non beer drinker in your beach crowd, go for a Vinho Verde. I was excited to try this wine, one because it is a good value Tuscan blend and two, because it gave me a new grape for my Wine Century Club, the native Tuscan Ciliegiolo grape. My excitement was quickly shutdown after tasting the wine. 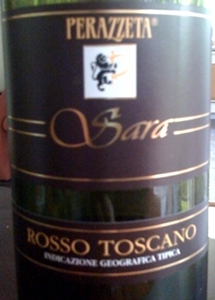 Although nothing was necessarily “wrong” with the wine, it wasn’t what I expect in a Tuscan IGT blend. The dark fruit aromas of blackberry and raisined fruit reminded more of a Zin, versus the bright red fruit I would expect. Tuscan wines and Italian wines in general have a good amount of acidity which makes them great food wines, this was flabby to the say the least, no backbone what so ever. I would expect a 2007 to be dead, but maybe I did get a bad bottle. At the price, I may have to give it a second chance.